More than 20,000 people have filed lawsuits over DePuy’s Articular Surface Replacement (ASR) and Pinnacle hip implants. Verdicts and settlements in the lawsuits have already totaled more than $6 billion. The metal-on-metal technology used in DePuy’s Articular Surface Replacement (ASR) and Pinnacle hip implants offered high-hopes of long-lasting implants when it first hit the market, but it was plagued with problems and many implants failed within just a few years. Plaintiffs say friction between the all-metal parts released metal ions into the body, which led to complications and implant failures – and, ultimately, 20,000 lawsuits. Settlements and verdicts involving the hip implants total roughly $6.2 billion, though courts have reduced some of the jury awards. As of April 2019, there were nearly 11,500 lawsuits still pending over DePuy hip replacements and more lawsuits are likely to be filed. Of those, 9.912 were lawsuits over the Pinnacle hip and 1,586 were over the ASR hip. Why are people filing lawsuits over Depuy’s hip implants? 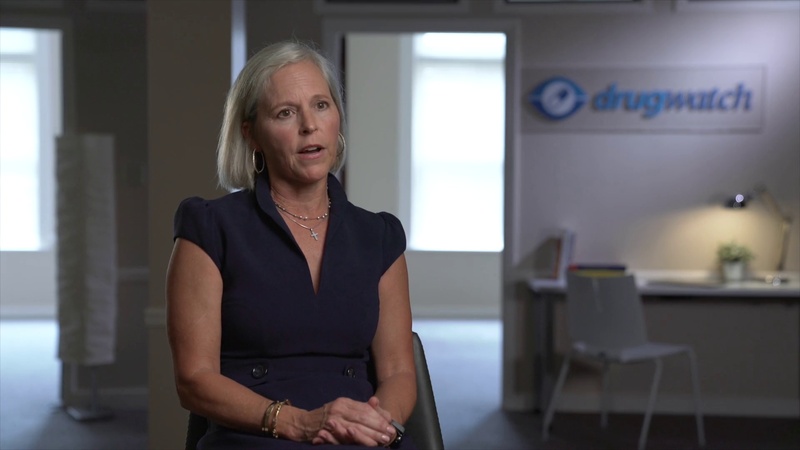 Attorney Holly Ennis details the reasons people are filing DePuy Hip Lawsuits. People who filed DePuy hip implant lawsuits claim the company knew for years at least some of its devices had problems and the company did nothing. Internal company documents presented at the first ASR hip trial appeared to back up those claims. The documents suggested that DePuy had predicted two in five patients receiving a DePuy ASR hip would need revision surgery within five years. They also seemed to reveal executives from DePuy’s parent company, Johnson & Johnson, knew the ASR hip had a faulty design but kept it on the market. It also appeared from information presented at trial that surgeons had warned the company to stop selling its ASR hips, and that the company had considered redesigning the device but instead discontinued the metal-on-metal implant because it was not profitable enough. The trial jury in March 2013 awarded the plaintiff in the case, Loren Kransky, $8.3 million. DePuy won the second trial in April 2013 but went on to settle three pending lawsuits for $200,000 each in August 2013. In November 2013, DePuy and Johnson & Johnson agreed to settle nearly 8,000 ASR lawsuits for $4 billion. The companies settled another 1,800 cases for an additional $420 million in March 2015. Today, the company still faces more than 1,700 lawsuits over its ASR hips in Ohio federal court. More than 9,700 lawsuits over Pinnacle Hip Solutions are pending in Texas federal court as part of a multidistrict litigation created in May 2011. DePuy won the first bellwether trial in September 2014. The company has since lost three trials. Juries in the three trials awarded plaintiffs more than $1.7 billion. Most of the money awarded in the DePuy Pinnacle jury verdicts has come in the form of punitive damages, or money awarded to punish the company. Some states limit the amount of punitive damages a jury may award, so courts have reduced the jury awards. In March 2016, the jury in the second trial awarded five plaintiffs $502 million, but a court later reduced the award to $151 million under a punitive damages cap. Johnson & Johnson appealed the verdict in December 2017. The court sided with Johnson & Johnson and, in April 2018, it tossed out the second bellwether verdict. A retrial is expected. Judith Rodriguez’s lawsuit was included in the third Pinnacle bellwether trial. She was one of six plaintiffs who won an initial $1 billion jury verdict. A court later reduced the award to $543 million. Rodriguez of Santa Barbara County, California, had her left hip replaced with a Pinnacle implant in June 2009. She had her right hip replaced with another Pinnacle device that September. Court documents claimed she suffered “degenerative pain, soreness and difficulty walking.” The complications were serious enough to require removing at least one of the implants in May 2013. Tests also confirmed Rodriguez had elevated metal ion levels in her body. Her lawsuit blamed the elevated metal levels for many of her complications. “In other words, implantation of the Pinnacle Device results in the nearly immediate systemic release of high levels of toxic cobalt-chromium ions into every hip implant patient’s tissue and bloodstream,” her lawsuit complaint claimed. Hazel Miura of The Bronx County, New York, filed one of the five cases chosen to be part of the fourth DePuy Pinnacle bellwether trial in November 2017. She received a Pinnacle hip in May 2008 and began experiencing pain and inflammation around the implant. The complications became so severe she needed revision surgery to remove the device in March 2013. She sued DePuy in 2013, blaming metal from the implant for her complications. She shared in the $247 million jury verdict. In August 2018, a court issued a $245 million judgment after the plaintiffs agreed to individual amounts totaling the smaller figure. In December 2018, Bloomberg reported that DePuy offered to settle roughly 3,300 Pinnacle lawsuits for $400 million. That would have resolved roughly a third of the active lawsuits over the hip replacement. Bloomberg relied on court documents from the MDL in Texas federal court for its reporting. The report suggested the average payment would be around $125,000 per lawsuit. U.S. District Judge Ed Kinkeade said DePuy was not attempting to settle all Pinnacle lawsuits but wanted to negotiate individually with a handful of lawyers who represented large groups of clients who had sued. In February 2019, HarrisMartin Publishing reported that DePuy was also willing to reach settlements with 17 plaintiffs who won jury verdicts in three bellwether trials. That announcement came as the MDL court was preparing to retry one of the cases. No details of the negotiations were released at the time.